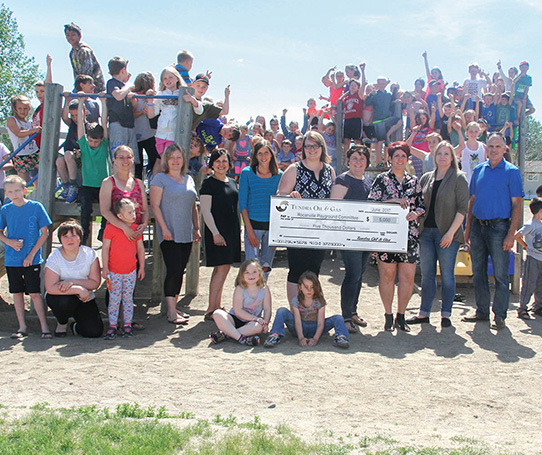 Tundra Oil & Gas recently presented the Rocanville Playground Committee with a donation of $5,000 to help cover the cost of the Rocanville School’s new playground structure. The committee has been fundraising for the past few years to replace the current structure, which is nearly 30 years old. The new playground structure is expected to be installed in the fall of 2017.